California! – Its long and rich history from Native Americans, to Spanish explorers, to the California Gold Rush, and the scandals of Hollywood, the Golden State can’t help but to be haunted. Here, you will find dozens of hotels, inns, B&B’s and even some campgrounds where you can sleep with a ghost! To see a spirit of California’s Gold Rush days, try the Sierra Nevada House in Coloma or the Groveland Hotel; or if you’re looking for a celebrity ghost, spend a night at the Chateau Marmont or Hollywood Roosevelt Hotel. On the other hand, if you’re looking for sheer numbers, try the Queen Mary in Long Beach, reportedly one of the most haunted hotels in the nation. Union Hotel – In the heart of historic Benicia, the gracious 1882 Union Hotel is reminiscent of California’s colorful past. During the late 1800’s, a young woman allegedly hanged herself in one of the rooms of this historic hotel. Today, this unfortunate soul reportedly continues to be seen in a window that faces the street and others heard her talking or crying. Union Hotel, 401 First Street, PO Box 874, Benicia, California 94510, 707-746-0110. Beverly Hills Hotel – Presiding majestically above Sunset Boulevard, the Beverly Hills Hotel has been welcoming royalty, legends, world leaders and luminaries to its luxurious accommodations since 1912. Its bungalos are said to be haunted by several ghosts including Rachmaninoff and Harpo Marx. Beverly Hills Hotel, 9641 Sunset Boulevard, Beverly Hills, California 90210, 310-276-2251 or 800-283-8885. Fernwood Campground – For many years this area was considered sacred by the Esalen Indians and today stands as a commercial campground. According to employees and guests the ghost of an Indian wearing a corn mask has been seen between 2:00 and 3:00 a.m. near the cabins. Fernwood Campground, 831-667-2422. La Playa Hotel – Often called the Grande Dame of Carmel, the original building served as a home for Christopher Jorgensen and his bride Angela Ghirardelli, heir to the San Francisco chocolate fortune. After the couple left the area, it became a hotel and in the 1920’s a second building was constructed. 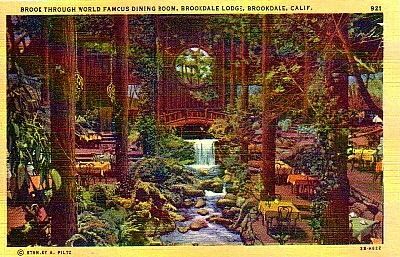 Today a woman is said to haunt the hotel, who is thought to be Angela Ghirardelli or her cousin who drowned in Carmel Bay. La Playa Hotel, PO Box 900, Camino Real at Eighth, Carmel, California 93921, 831-624-6476 or 800-582-8900. Banning House Lodge – Located on the isthmus of Catalina Island at Two Harbors, the lodge is perched on a hilltop with sweeping views of both Isthmus Cove and Catalina Harbor. The Banning House Lodge was built in 1910 as the summer home for the Banning Brothers. It has since been renovated into a charming 11-room lodge. 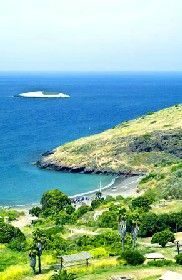 A ghostly figure dubbed the “White Lady” has often been spotted here. Others have reported the smells of tobacco and fish that reportedly come from the spirit of an old fisherman. Near here is the spot where Natalie Woods drowned and she is also said to be seen close by. Banning House Lodge, 1 Banning House Rd. (Tremont St.), Avalon, California 90704, 310-510-2800 or 800-626-1496. Sierra Nevada House Hotel – Built in 1850, the hotel served to house the numerous prospectors flooding to Sutter’s Creek in search of gold. Like most hotels of this era, it also served as a saloon and a brothel. The hotel remained in operation until it was destroyed by fire in 1902. However, it was soon rebuilt only to burn down again in 1925. For a final time, the building was reconstructed and continues to stand today as a true piece of the Old West. Today, a number of spirits are said to haunt this historic building. A playful spirit is said to move tools and equipment around in the kitchen, bar staff speak of strange noises coming from the upper floor and shot glasses sliding across the bar by themselves. A “not so happy” ghost that shot his lover in Room 4, is said to continue to lurk there. Sierra Nevada House, 835 Lotus Road, PO Box 457, Coloma, California 95613, 530-626-8096. Fallon House Hotel and Theater – Remaining since the days of the California Gold Rush, the Fallon Hotel was built by an Irish stone cutter in 1859. Original owner, Owen Fallon expanded the hotel in 1863 by purchasing an adjoining building and later the Gunn Saloon. These three buildings became Fallon’s Hotel. Today, visions of the Gold Rush era are often seen in this historic building. Though smoking is not allowed, guests can often smell the odor, along with that of whiskey. A female apparition is often seen in Room 9, and in the theater lights seemingly turn on and off of their own accord and shadow images are often spotted. Fallon House, 11175 Washington St, Columbia, California 95310, 209-532-1479 or 800-532-1479. Hotel Del Coronado – Rising from the water’s edge on the island of Coronado, this historic hotel has long been visited by the rich and famous. Considered one of America’s most beautiful resorts, The Del, as the hotel is known by locals, was built in 1888, by Elisha Babcok and H.L. Story, who dreamed of building a seaside resort that would be “the talk of the Western world.” The 399 room grand resort cost over a million dollars to build, a staggering amount at the time. One of the Del’s most often seen ghostly guests is a woman named Kate Morgan who allegedly committed suicide on the beach in 1892. Ms. Morgan has often been spotted in the room that she stayed in – 3327, and upon the grounds of the resort. In another room, #3519, a maid supposedly hanged herself here and this room is also said to be haunted. Other strange phenomena includes objects are tossed about guest rooms as people sleep, the sounds of disembodied footsteps, and mysterious temperature changes. 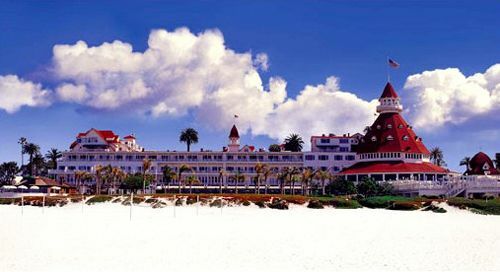 The Hotel Del Coronado, 1500 Orange Avenue, Coronado, California 92118, 619-435-6611 or 800-HOTELDEL.